Ernest Mdhluli has lived with his four brothers since he was very young. His eldest brother Enock is the breadwinner and takes care of the family. This October Ernest will celebrate his 18th birthday and his dream is to become a teacher. 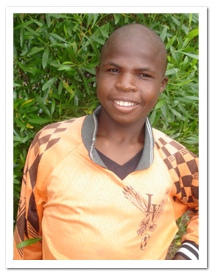 Ernest is currently in grade 9 and hopes to finish school so he can enter university. Currently, his biggest challenge is that he has to walk to school everyday, as there is no public transportation in his community. 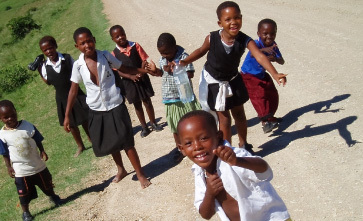 The distance from his home to school is 10 kilometers each way. This is really affecting his performance in his schoolwork. Ernest says a bicycle would be so helpful and make a big difference in his ability to keep up with his studies. Ernest is looking forward to fulfilling his dream of becoming a primary school teacher. He was inspired to choose this career because of all the support he received from his primary teacher, who he says was like a parent to him.